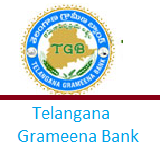 Telangana Grameena Bank has released the Final (Interview) results of it's Office Assistants (Multipurpose) Recruitment 2015. Earlier, the bank has invited online applications from eligible IBPS RRB CWE III qualified candidates from 13th March 2015 to 27th March 2015. Based on the received applications, the bank has shortlisted several candidates and conducted interviews for Office Assistants from 25th May 2015 to 3rd June 2015 and 3rd August 2015 to 7th August 2015. Based on the performance in these interviews, the bank has released the list of 136 candidates selected as Office Assistants.